Welcome to Progeny Winery. We offer a variety of wine tasting experiences Tuesday through Saturday by prior Appointment only in our newly constructed Hospitality Center. Please email info@progenywinery.com or call the winery at 707-257-9001 to schedule a visit. Availibility ranges from a day-to-day basis. Our Hospitality Center is located in the Mt. Veeder AVA, 15 minutes outside the city of Napa. Due to the nature of our tastings and to ensure an intimate experience for all our guests, we kindly request that all visitors be at least 21 years of age. Only certified service animals are allowed on the property. No pets, please. 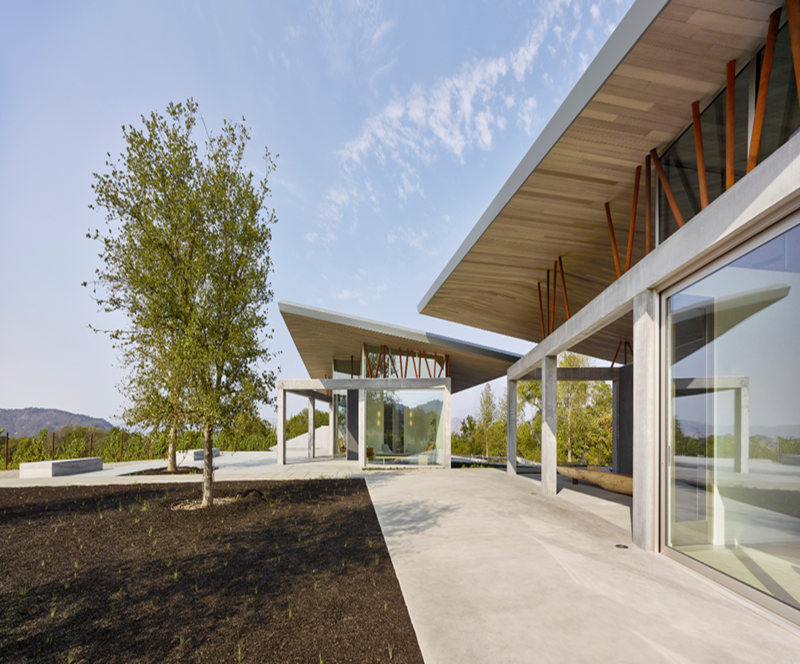 Visit our newly constructed hospitality center and taste through our Reserve wines; all of which are only offered in our Tasting Room or to our Mailing List. 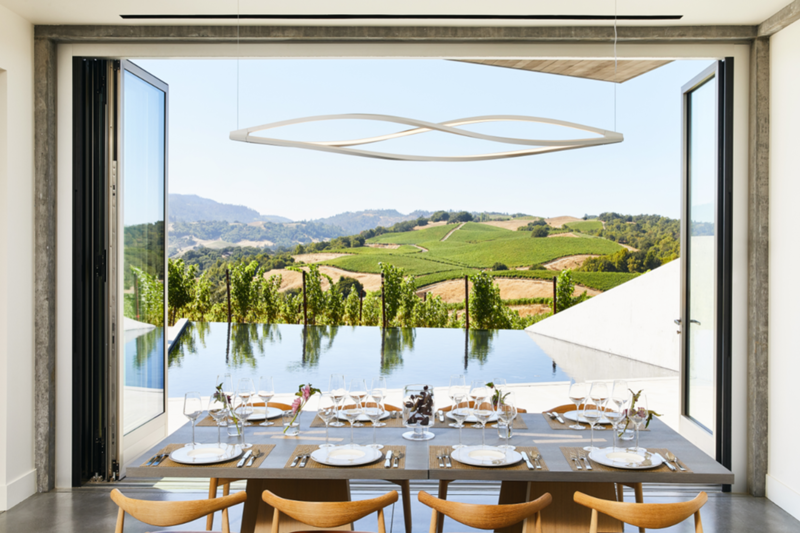 This provides a perfect introduction to the wines grown on our spectacular Estate. The Classic Progeny Tasting will last approximately 75-90 minutes. 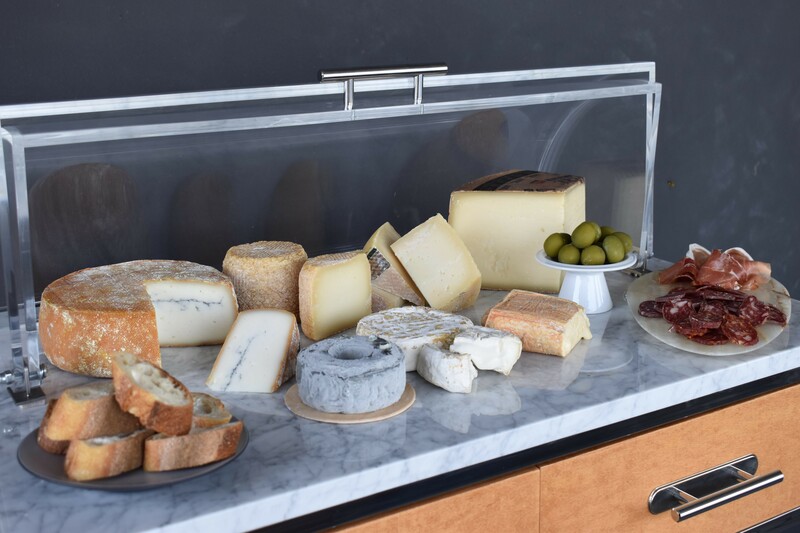 Our hospitality center team will guide you through a thoughtfully curated wine, cheese, and charcuterie experience. This incredible cheese cart pairing is served tableside. We sampled over 60 different cheeses to select exceptional pairings with our Reserve wines. Sip and savor while basking in the beauty of our mountain top views. Indulge in our complete sensory experience with our exclusive Food and Wine Pairing program. Enjoy four courses of small plates carefully crafted by our Estate Chef, John Gerber, paired with our Reserve wines. Chef creates menus inspired by the freshest seasonal ingredients available.